This breakfast nook is sunny, cozy, and inviting — everything a sunroom should be. It’s the perfect place to have your morning coffee or curl up with a good book. Beach-inspired hues and accents add a casual vibe. The room is just one part of a new home construction. 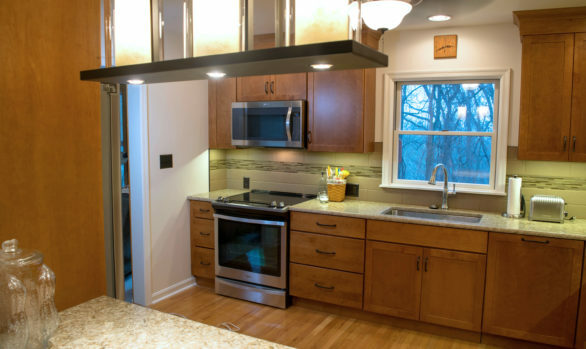 Harrisburg Kitchen & Bath worked with the architect and contractor to design the room interiors and provide the products. 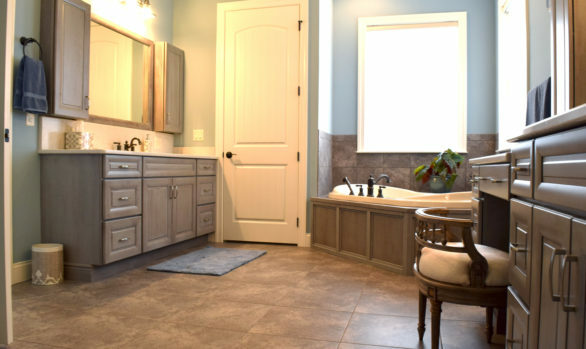 Learn more about the other designs that took place in the home, including a laundry room, a home coffee bar, a classic bathroom, and a gorgeous gray bathroom that blend traditional and updated style into a cohesive look.